AeroVironment, Inc. announced that on April 10, 2018 the United States Army selected the Company and six other suppliers for small Unmanned Aircraft Systems (UAS) sustainment under a five-year Indefinite Delivery Indefinite Quantity (IDIQ) contract. The seven awardees will compete for LRRS and MRM UAS, Tactical Open Architecture Controller system and spare and repair parts procurement task orders over the duration of the contract. The maximum value of the contract is $248 million over five years. AeroVironment won the first competitive award for the Army’s small UAS program of record on a sole-source basis in 2005, and won the renewal of that contract with four other suppliers in 2012. 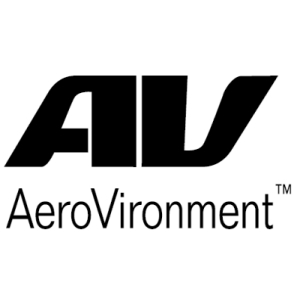 AeroVironment is the designer and manufacturer of the RQ-11B Raven® and RQ-20A and B Puma™ UAS, which constitute the vast majority of the Army’s existing fleet of Small UAS. The AeroVironment Raven, the most widely deployed defense unmanned aircraft system in the world today, is a lightweight solution designed for rapid deployment and high mobility for military applications requiring low-altitude surveillance and reconnaissance intelligence. The AeroVironment Puma is a small unmanned aircraft system designed for land-based and maritime operations. Capable of landing in water or on the ground, the all-environment Puma, with its Mantis i45 sensor suite, empowers the operator with extended flight time and a level of imaging capability never before available in the small UAS class.